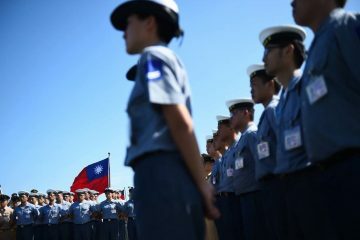 YOUTH FOR TSAI (年輕挺英), an all-volunteer youth campaign recently formed by a group of university students hoping to take action to protect Taiwan amidst the growing influence from China on interfering with Taiwan domestic politics, was present in numbers at the 2019 Presidential Office Concert on Saturday. 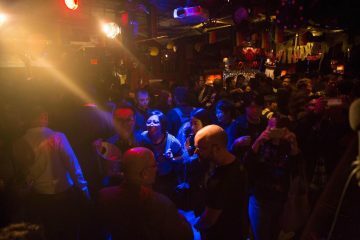 Through this campaign, they hope to maintain Taiwan’s autonomy, democratic institutions, its hard-won freedom of speech and way of life, under the DPP government. 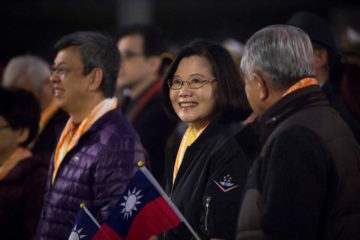 While imperfect, Tsai’s administration has a much less tendency to kowtow to the Chinese Communist Party in Beijing, which seemingly appears to be even more evident with the KMT and Ko Wen-je’s recent actions. 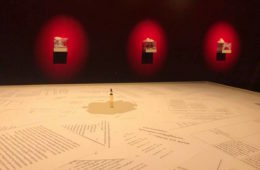 Perhaps coincidentally, Sunday also marked Taiwan’s national freedom of speech day (言論自由日), commemorating Deng Nan-jung’s (鄭南榕) death by self-immolation in 1989 to protest the then-KMT government’s crackdowns on freedom of speech. 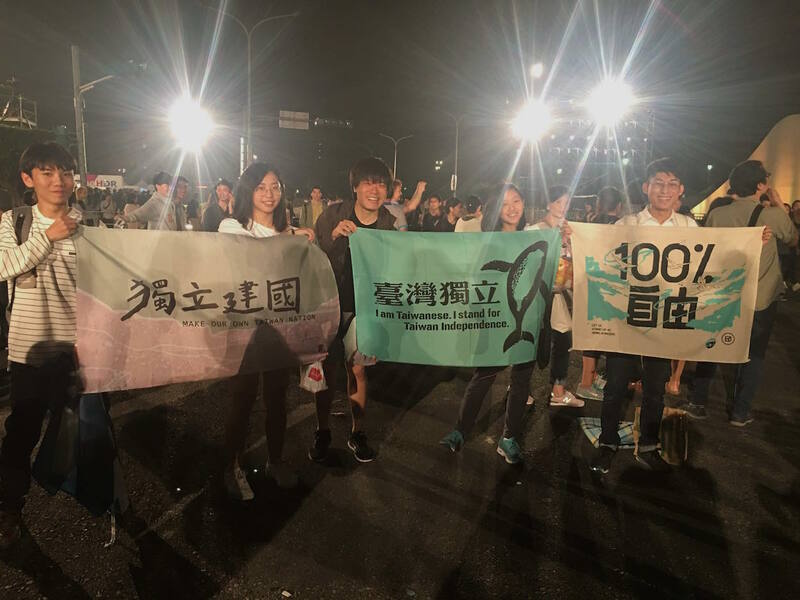 In continuation of Cheng’s spirit and sacrifice, this youth group hopes to further build on Taiwan’s long road to self-determination. Lin Fei-fan (林飛帆), leader of Taiwan March (島國前進) and one of the two prominent Taiwanese activists that led the Sunflower Student Movement in 2014 also voiced his support this week for Tsai’s reelection bid via a visible Facebook post. 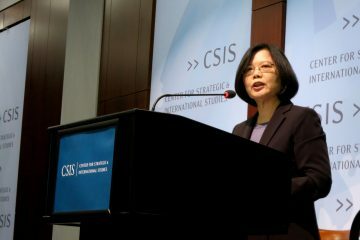 Although Lin has been often critical of the administration’s policies and governance since Tsai took office in 2016, he mentions that she is still by far the current best option in safeguarding Taiwan’s free institutions from Chinese aggression, a necessary beginning if any efforts around advancing social democratic reforms were to continue. 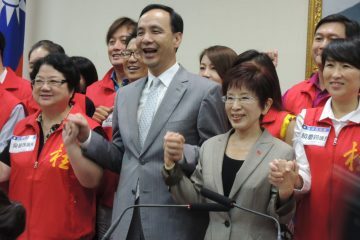 Lin stated full support of Tsai ahead of the DPP presidential primary election in which she will be competing with William Lai, favored by older pro-independence members of the DPP. 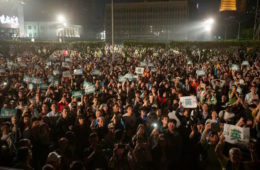 The Presidential Office Concert on Saturday has once again demonstrated that issues around freedom and self-determination are still at the center of younger generations in Taiwan, despite the economic incentives handed out from China. 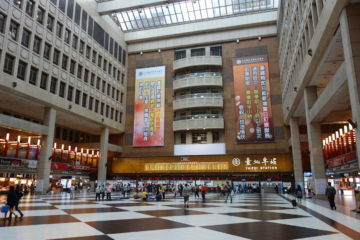 On any day, when university students are asked on campus how they feel about their country and its relationship with China, a common response often heard would be they would continue to stand up in protecting Taiwan’s dignity, human rights, and way of life that comes with an independent nation they currently enjoy. 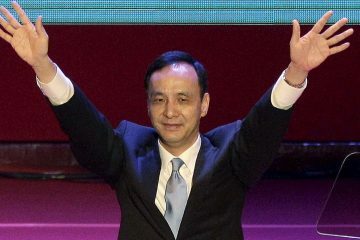 Yet at the same time, many would not oppose working in or with China, to take advantage of economic advantage they have from a language perspective and the economic incentives the Chinese government gives out as part of its united front strategy. There have been “visit the motherland” tours for Taiwanese students for decades, while many join these well planned free tours around China and attend brainwashing sessions put forth by Chinese communist party members, there is little interest after these students return to Taiwan in helping them or identifying with their ideology of “unifying” Taiwan to be a part of China. 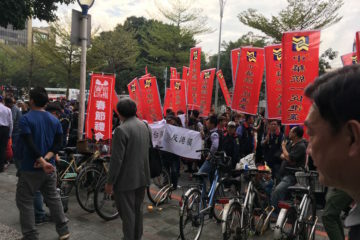 Interestingly, these very students organizing Youth for Tsai are the same ones attending such tours, growing up in a generation where most business and trade is conducted with and relying on the Chinese market. 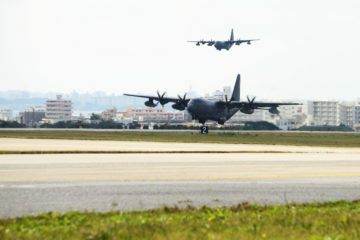 However, they nevertheless value the hard-won freedoms Taiwan has achieved in the last three decades. 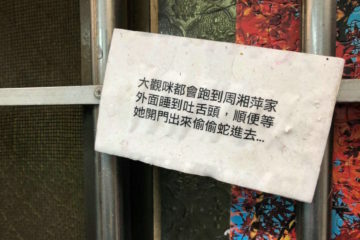 They effectively handed out over 2,000 placards within fifteen minutes, only to be hand out thousands more throughout the two-hour concert once more volunteers arrived. These were creative in their design, as in signs referencing Tsai’s cats. 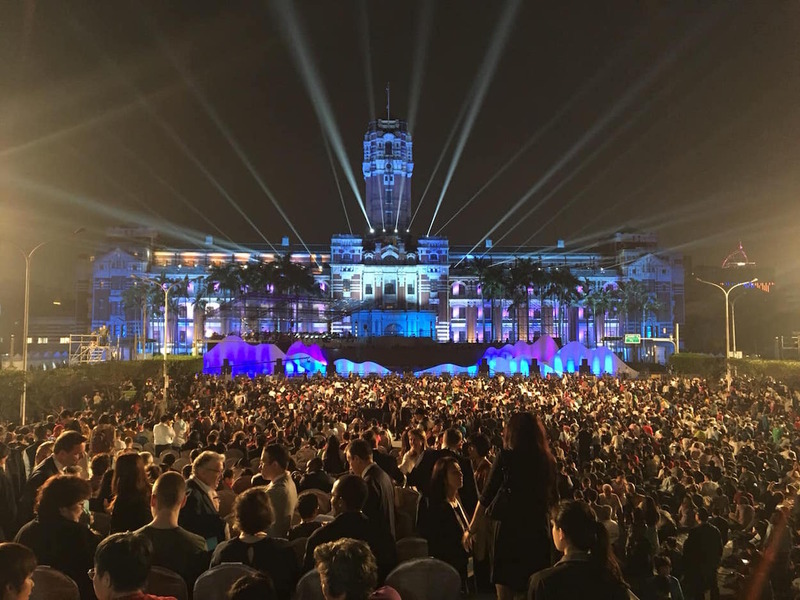 As for the concert, concert itself, the concert took as it’s theme, “Taiwan’s Story” (台灣故事), as phrased in terms of beautiful land, people, and hearts (地之美﹑人之美﹑心之美). 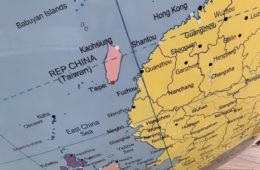 In this choice of theme, this not only included Taiwan’s rich diversity in identities of the different ethnic groups and waves of immigration but praise for and preserving its scenic beauty, as well as touting its progressive values that Taiwan is increasingly known for in the international community. 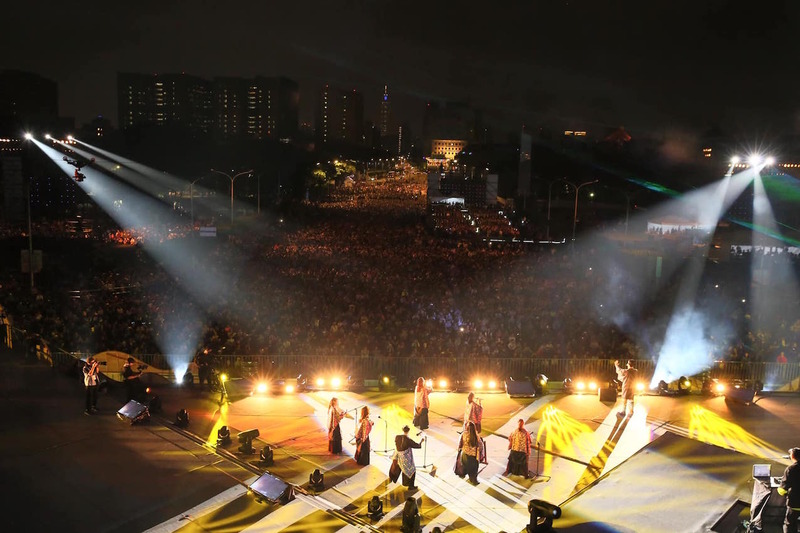 The concert kicked off with “A hundred years of building” (百年建築), followed by indigenous singers and dancers in traditional native attire, then Taiwan’s largest ethnic group, the Hoklo, with songs including the older enka (演歌) style music to pop sung in Taiwanese Hoklo, especially drawing much applause and excitement with DJ Didilong’s (李英宏) Hoklo hip hop performance while wearing in a Japanese kimono. 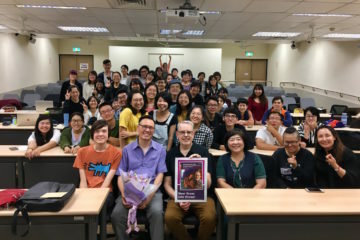 Another highlight was Hakka songs sung by well respected artist-activist Lin Sheng-Xiang (林生祥), who songs are based off “mountain songs” (山歌) representing the hardships of Hakka people passed on generations through song. Last but not least, the Beautiful Hearts (心之美) was performed by the former couple Enno Cheng (鄭宜農) and Sam Yang (楊大正) of FireEX (滅火器). 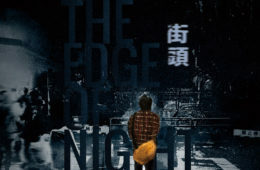 Enno’s subtheme was This World (這個世界) singing the song Light (光) giving hope to younger generations on progressive inclusion, where she sung her own story of coming out as bisexual and the importance of embracing differences, during which the entire presidential palace lit into 6-color rainbows. 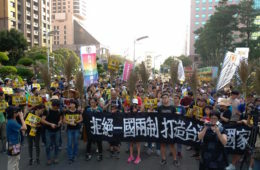 This was a symbolic gesture in support of marriage equality, even though the actual bill is currently being debated in Taiwan’s parliament, the Legislative Yuan. The concert concluded with Fire Ex performing Move Forward (繼續向前行), also symbolic of advancing Taiwan’s progress in freedom and equality, a pride song of brave seamen titled Sea People (海上的人), and the grand finale of Good Night! Formosa! 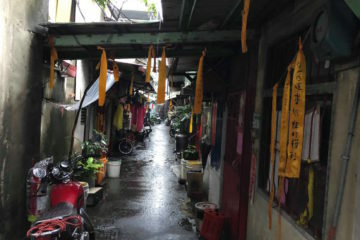 (晚安台灣) written to encourage Sunflower Student Movement activists shortly after Island’s Sunrise (島嶼天光). 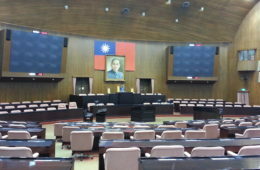 As the countdown to the Taiwan presidential election in January 2020 is only eight months away, this will be a contentious media topic for the many months to come, and the youth vote will once again play a deciding role in picking who will be Taiwan’s president for another four years. Rath Wang (王健智) currently resides in Taipei, and is passionate in human rights and liberal politics. He fiddles with numbers through bookkeeping in the day, and is an active advocate for Taiwan’s identity, kitties and other furries, a peaceful and inclusive world, and LGBT+. Rath is a global nomad, although his roots lie in the Hakka fields of Taiwan’s mountains, having lived in the US, Thailand, and Japan. 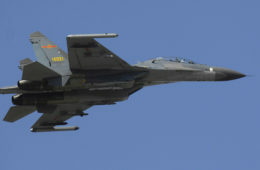 Surprisingly Aggressive Responses Over South China Seas Islands By The Tsai Administration? 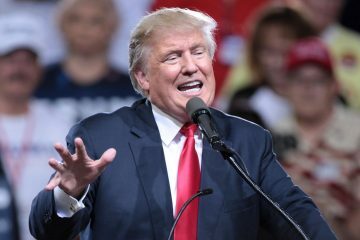 Will Donald Trump Be Held In Check By His Advisors Or Institutional Safeguards?